UFV is once again looking for unsung heroes. Do you know an individual or a group who has made the Fraser Valley a better place to live? People who make everyday contributions to their community but who may not be recognized? Consider nominating them for the UFV Betty Urquhart Community Service award. Betty Urquhart was one of the first employees of the university and believed strongly in volunteering and giving back to the community. Betty passed away in 1995, but UFV keeps her memory alive by honouring a person or group exemplifying her commitment to life-long learning and community. 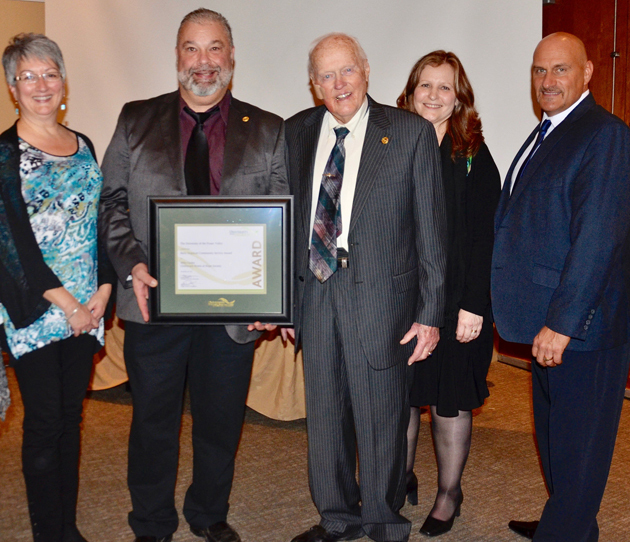 The award is presented at the UFV retirees’ dinner in November, and is part of UFV’s continuing commitment to changing lives and building community. 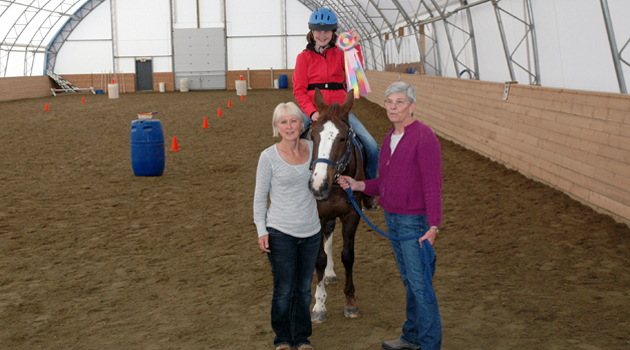 Daphne Clegg and Pat Fuller with one of the enthusiastic riders. The deadline for this year’s nominations is Mon, Oct 8. If you’d like to nominate someone for the Betty Urquhart community service award, please review the criteria and download a nomination form at ufv.ca/betty, or contact Linda Dahl at 1-888-554-4561 or at linda.dahl@ufv.ca .